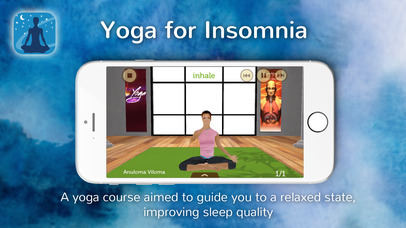 “Yoga for Insomnia” provides a structured series of yoga poses which aim to reduce insomnia. If you’re an insomniac who can’t sleep despite trying various treatments, this simple app is worth trying. 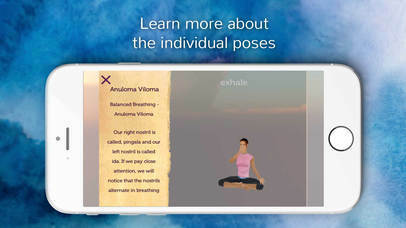 By combining stress reduction techniques used in meditation, and the effects of consistent exercise, “Yoga for Insomnia” aims to improve sleep patterns and sleep quality. Insomnia is a chronic sleeplessness which over one half of adults experience at one point in their lifetime. This comes as no surprise considering the high stress lifestyle which has become prevalent today. The exercises in “Yoga for Insomnia” have been traditionally recommended for sleep disorders because of their ability to calm and tranquilize the mind. 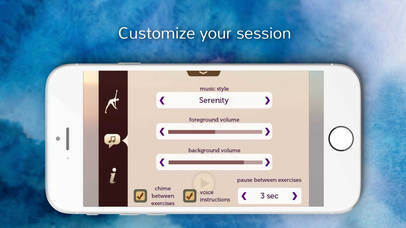 By using this app, you will increase your mind’s ability to calm itself, helping to overcome insomnia. “Yoga for Insomnia” draws upon traditional hatha yoga and was formulated by an expert in ancient yogic methods. The program guides you through several yoga poses while emphasizing correct breathing methods. 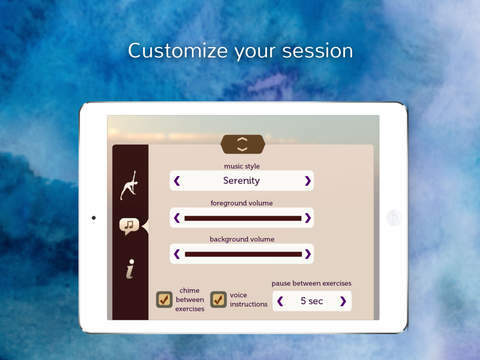 If you find that the beginner session does not provide enough tranquility, you can change the settings from beginner to advanced, for a longer more effective session. 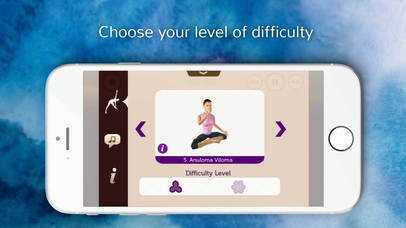 Users may want to first try our app "Core Yoga" which is better suited for beginners. After practicing "Core Yoga" for a few weeks, you should be able to comfortably practice "Yoga for Insomnia". Try to do the “Yoga for Insomnia” program twice a day, with one time being right before bed. For optimal results, pick two specific times and routinely do the exercises at those times.